Modern Builder + Design Magazine just ran an article about Zarrilli Homes I would like to share with everyone. It is a good story about a very nice guy and his modular home business. New Jerseycoast after Hurricane Sandy. THERE STILL IS a stigma attached to modular homes when they’re compared to traditional stick-built houses. Residents of the Jersey Shore were certainly glad they ignored the old way of thinking about homebuying after Hurricane Sandy ravaged the U.S. Atlantic Coast, especially if they owned a modular house constructed by Zarrilli Homes. According to founder and owner Anthony Zarrilli, when his company inspected its homes in the areas hit by Sandy, none of them sustained major damage. Zarrilli credits this to modular home construction exceeding building code standards, thus creating more resilient structures. “For example just building a modular home makes them much stronger,” Zarrilli says. “There is approximately 20 percent more lumber, and they are engineered to travel down the road at 70 miles an hour. “We build good stick-built homes, but you just can’t match the quality and efficiencies of getting one coming off the production line,” Zarrilli continues. Zarrilli himself is a third-generation builder as the Zarrilli family has been involved in the industry for more than 50 years. Zarrilli’s father, Richard, moved to the Jersey Shore in the 1960s to find construction work. Anthony grew up on job sites, doing odd jobs like collecting nails as young as five year old and eventually learning about masonry, carpentry, electric, plumbing and all aspects of commercial and residential construction. Zarrilli worked for his father until 17 years ago when he decided to start his own construction business. Although he started out with stick-built construction, he soon added modular structures to the company’s capabilities. After delivering the third modular home, the demand for Zarrilli Homes skyrocketed. Today, about 90 percent of the structures the company delivers are modular. Zarrilli Homes is at the top of the modular homes game, and the industry has taken notice. 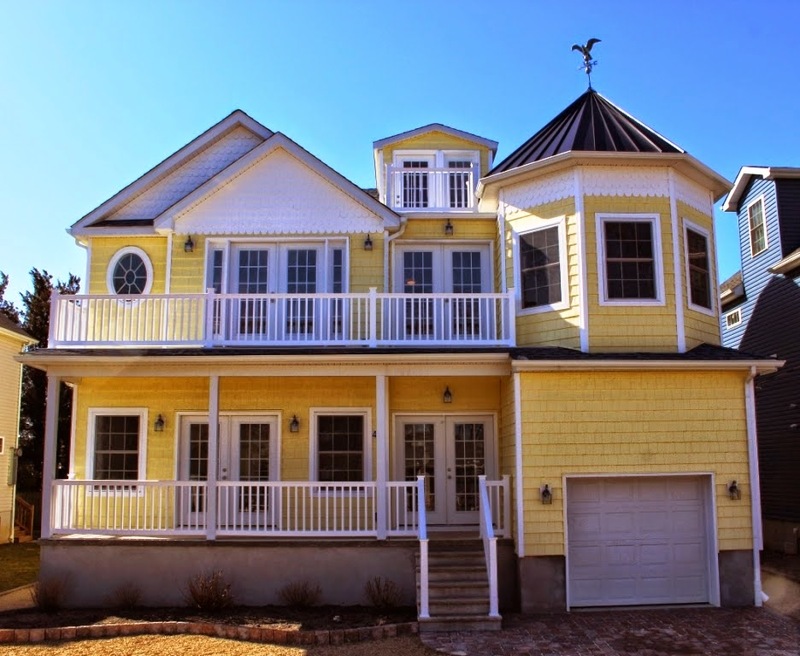 In 2014, Zarrilli Homes won the Modular Homebuilder Association Home of the Year award for a classic Spring Lake, N.J., beach home. The company also was featured on iconic home improvement show This Old House for eight episodes in 2013 as it restored numerous homes damaged by Hurricane Sandy. The DIY Network is filming two Zarrilli Homes’ jobs that will be televised this fall, as well. To keep up with design demands from potential homebuyers, Zarrilli Homes takes every custom-ordered item into consideration for its next projects. Zarrilli says he would rather be prepared to offer the latest trends in homebuilding as standard options instead of havingcustomers pay for lots of extras at the end of a design process. For example, about eight years ago, homebuyers wanted carpeting in their bedrooms and hallways. Within about six months, however, there was a strong demand for hardwood flooring throughout the home. Instead of making hardwood an option, Zarrilli Homes made this flooring standard so homebuyers did not have to make a special request for it. “We try to adapt to what our customers ultimately are looking for,” Zarrilli says. “People like that they don’t have to ask for 15 items and pay for each of them separately. “After the house is designed they get a final number – they don’t feel like they are being nickeled and dimed,” Zarrilli continues. Zarrilli Homes just announced a new product line called the Shore Collection. The designs in this collection are based on the 16 most popular designs Zarrilli Homes has delivered in the past and built with standard specs in the homes ready for purchase. Custom homes are still the core capability at Zarrilli Homes, however. The company relies on customized software that leads potential homebuyers through a 3-D virtual home tour while sharing details about pricing and amenities. “We’re not getting away from [custom homes], but we can l get through the process much easier, and we’re able to have customers move into their new home much sooner because a lot of people need homes,” Zarrilli says. “Any time there’s an unknown, it adds stress to the process from the customer’s standpoint. “We try to eliminate that before they make a full commitment,” Zarrilli adds. I have seen many photos of the homes that Zarrilli has finished over the years and have to say that they do one hell of an outstanding job. If i lived in NJ, i know who i would want to build my house for me. Keep up the good work to the Zarrilli team and their manufacturer of choice, Excel Homes.